Much like Baldur's Gate, Baldur's Gate II, and Icewind Dale have received enhanced edition ports to Android, classic CRPG Planetscape Torment is receiving the enhanced edition treatment as well. 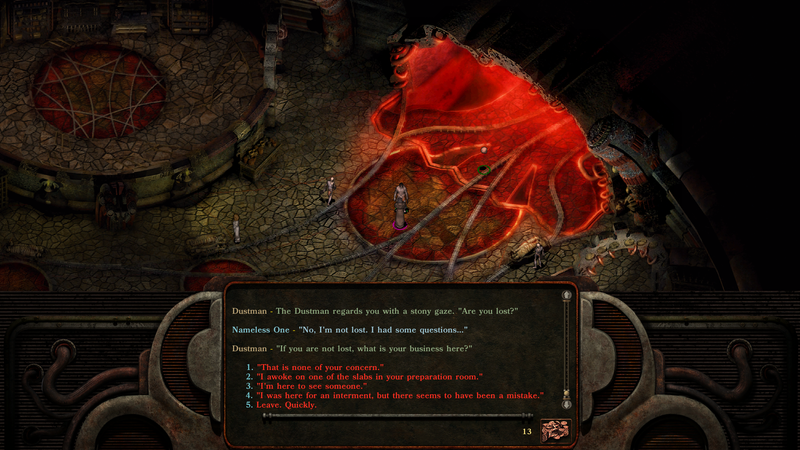 To be more specific, the developer Beamdog will be releasing Planescape: Torment Enhanced Edition as a cross-platform release on April 11th of this year. That's right, all of you Planetscape fans out there, you will soon be able to play the game on the go. It has been eighteen years since the original's release in 1999. In gaming years that is quite a long time when you consider how quickly graphics and overall presentation age. Luckily, the enhanced edition looks to clean some of that old cruft up with a slew of bug fixes and newly polished graphics. This way the game will display correctly on all of our newfangled high-resolution displays. Something that obviously didn't exist way back in '99. Now, for those of us worried that the developer Beamdog may not "enhance" the game properly, they have gone out of their way to partner with the original lead design Chris Avellone. Much to everyone's relief, he will be curating all of the content updates to the game ensuring an unspoiled product. With that laid to rest, the only thing left to worry about is what the game will cost. 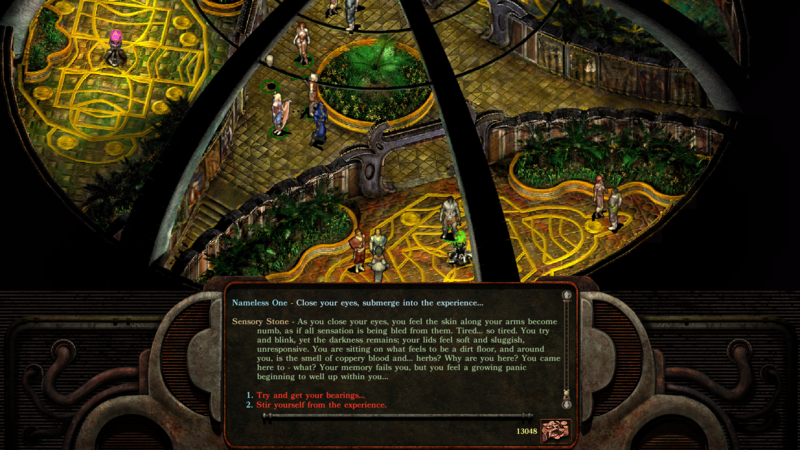 When Planescape: Torment Enhanced Edition releases in April, it will be priced at a competitive $10 on the Android platform. If you are saying to yourself that the price point is too high, I would ask you to keep in mind that the console and PC editions will cost $20, a whole $10 more than mobile. 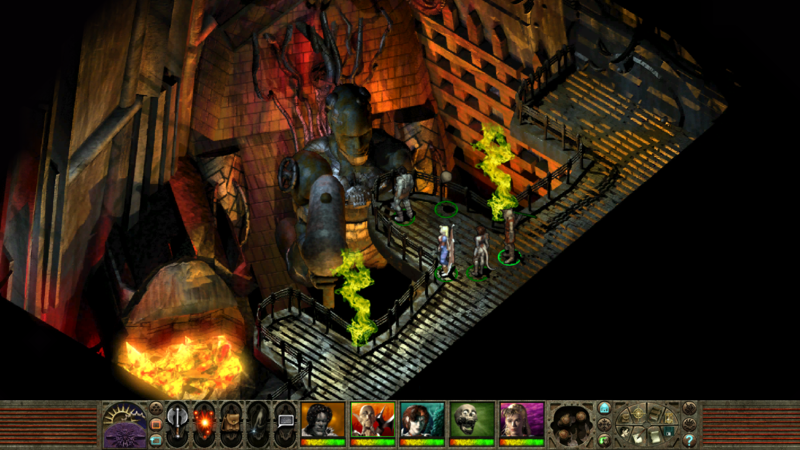 Overall, if Beamdog's earlier releases are anything to go by, I am sure Planescape: Torment Enhanced Edition will be a welcome sight to many an RPG gamer. 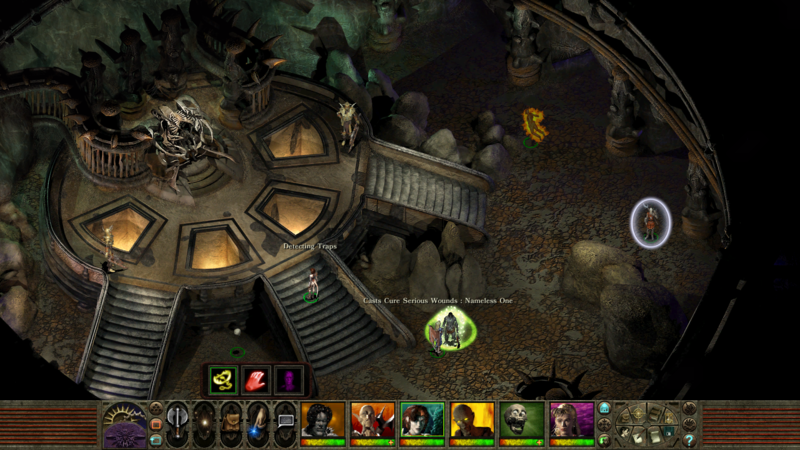 Planescape: Torment Enhanced Edition has been officially released today. It is currently priced at $9.99. There are no advertisements or in-app purchases despite the Play Store mistakingly listing IAPs in the game.